An emotional day at the King Power Stadium saw Leicester City held by Burnley, in the hosts' first home match since their owner died. Leicester City were held to a 0-0 draw by Burnley on an emotional return to action at the King Power Stadium for the first time since chairman and owner Vichai Srivaddhanaprabha died in a helicopter crash near the ground two weeks ago. 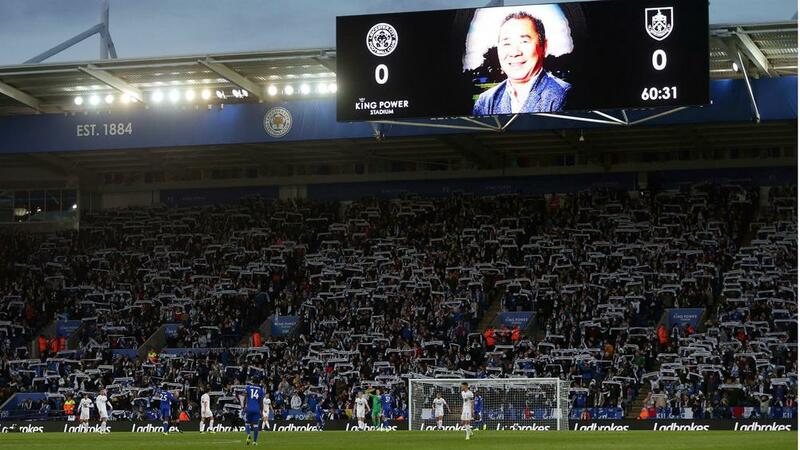 Fans and players alike paid tribute before the match to Srivaddhanaprabha and the four others who lost their lives on October 27, but Leicester were unable to claim the points. It certainly was not for a lack of trying, as the home side controlled most of the match and crafted some good chances, but Rachid Ghezzal was denied by the crossbar and Joe Hart impressed in the Burnley goal. Claude Puel's men generally dominated the second period as well, yet Burnley – who had lost three straight games – made a marked improvement and left with a much-needed point. Leicester looked up for the occasion early on and went desperately close to the opener in the 15th minute, but Matt Lowton blocked Jamie Vardy's goal-bound effort on the line. The frame of the goal then came to Burnley's rescue soon after, denying Ghezzal's stooping header from a pin-point Marc Albrighton cross. Demarai Gray was the next to go close – Hart brilliantly thwarting the winger in a one-on-one situation just prior to the half-hour mark. Leicester looked bright again at the start of the second half, but Albrighton shot straight at Hart from about 12 yards. Burnley should have capitalised on Leicester's profligacy 17 minutes from the end when former Leicester striker Chris Wood sliced a volley over inside the penalty area. Leicester's late surges lacked direction, and in the end Burnley had little difficulty holding on. This is what Vichai Srivaddhanaprabha meant to @LCFC. Having conceded 13 goals in their past three Premier League outings, Burnley were there for the taking. However, they managed to dig deep and claim a commendable point, to end their losing run. By no means a regular starter, an injury to James Maddison handed Ghezzal an opportunity and he certainly did not look out of place. He was bright in possession, offered a little craft in the final third and generally caught the eye. Aside from an early shot that was cleared off the line, Vardy had very little influence on proceedings, as Leicester had little success trying to play him in behind the deep Burnley defence. Leicester travel to Brighton and Hove Albion after the international break, while Burnley host Newcastle United.